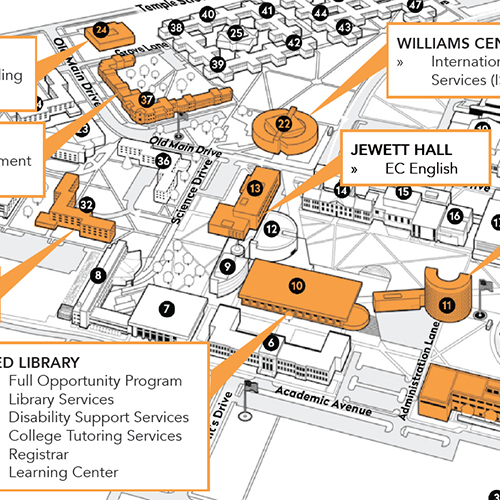 As a key part of Fredonia’s Strategic Enrollment Plan, the University is undertaking an initiative that will centralize students support services in three adjacent buildings. These buildings will form a student success corridor in the heart of the campus. Prior to making the physical changes to renovate these spaces, Fredonia partnered with brightspot strategy in creating a unified vision and philosophy of student success and an integrated plan for services, staffing, and spaces. Through a process that engaged students, faculty, staff, and leadership through interviews, workshops, town hall meetings, and a campus-wide survey, brightspot assessed the current state and future potential for the student service experience and created a shared university vision toward student success. 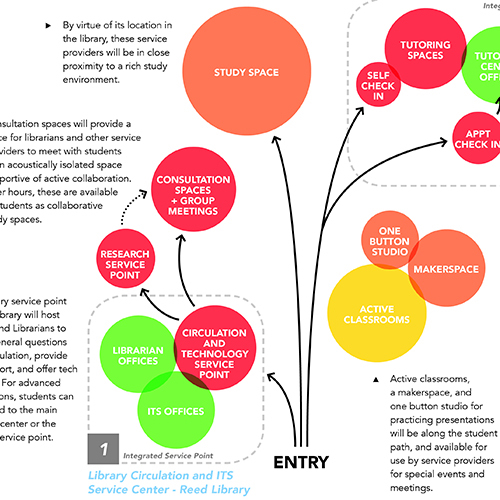 Our participatory design process brought together multiple service providers across academic affairs, student affairs, and information technology to develop a new portfolio of student support services, determined the project’s space needs, and created a staffing and assessment plan. The services were redesigned to make the services more accessible and useful to students, better connected across providers, and more efficient to deliver. The space strategy integrated the provider service points and created welcoming spaces throughout the corridor that fostered a sense of belonging and connection among a diverse and rapidly changing student body. Our process enabled a clear consensus to emerge from the activities and discussion in a way the University can take real ownership of the strategy and are well positioned to implement it. Many of the service strategies were adopted at the end of our engagement and will enable Fredonia to improve upon key outcomes such as enrollment, retention, graduation rate, and cost of delivery. Design more efficient and effective student services.